Igor Fedorovich Stravinsky was born at Oranienbaum near St. Petersburg, Russia, on June 17, 1882. Although his father was a star singer of the Imperial Opera, he expected the boy to become a bureaucrat. Igor finished a university law course before he made the decision to become a musician. By this time he was a good amateur pianist, an occasional professional accompanist (someone who plays along with a singer), an enthusiastic reader of avant-garde (non-traditional) scores from France and Germany, and a connoisseur (expert) of Italian, French, and Russian opera. The closest friend from Stravinsky's youth was Stephan Mitusov, the stepson of a prince. Mitusov translated the poems of the French poet Paul Verlaine (1884–1896) that Stravinsky set to music in 1910, and he arranged the libretto (text that accompanies a musical work) of Stravinsky's opera The Nightingale . One of Stravinsky's classmates at the university was Vladimir Rimsky-Korsakov, the son of the composer Nikolai Rimsky-Korsakov (1844–1908). Stravinsky became an apprentice to the elder Rimsky-Korsakov. He did not enter classes at the conservatory but worked privately at his home. For the sake of learning the most advanced craftsmanship from Rimsky-Korsakov, Stravinsky hid his independent taste, confident that he could exercise it later. His Symphony in E-flat (1905–1907), Pastorale (1907), and Fireworks (1908) demonstrate this. Stravinsky also wrote a funeral dirge (a dark, moody piece) for Rimsky-Korsakov, which he later recalled as the best of his early works. It was not published, and the manuscript was lost. producing. Each scandalized (caused a debate among) the first audiences. The ballets were also unique and quickly became classics. The three ballets— Firebird (1910), Petrushka (1911), and The Rite of Spring (1912–1913)—together made Stravinsky's influence on all the arts enormous. They established him as a leader of a heroic musical generation alongside older composers such as Maurice Ravel (1875–1937) and Arnold Schoenberg (1874–1951). World War I (1914–18; a war involving Germany, Turkey, and Austria-Hungary on one side, and Great Britain, France, Russia, Italy, Japan, and the United States on the other) prevented Stravinsky from writing more for Diaghilev's company. The Russian Revolution (1917; two revolutions that first overthrew the monarchy then replaced it with the Communists) prevented Stravinsky from returning home from Paris. During the war he lived in Switzerland, where he collaborated with the poet C. F. Ramuz on a series of works based on folklore, including The Soldier's Tale (1918). This work deeply influenced Bertolt Brecht (1898–1956), Jean Cocteau (1889–1963), and other dramatists of the 1920s. Another ballet, begun in 1914, and finally orchestrated in 1923, was the grandest achievement of these years: Svadebka (Les Noces, or The Little Wedding). In it the barbaric power of The Rite of Spring and the modern concision (shortness) of The Soldier's Tale met in a serious affirmation of love. Along with these very diverse major works were several smaller ones, for voices and for instruments in various combinations. Outstanding among these was a memorial to Claude Debussy (1862–1918), Symphonies for Wind Instruments. A short comic opera, Mavra (1922), revealed a new lyricism (personal, emotional) in Stravinsky's complicated development. Though it was not a popular success—to Stravinsky's great disappointment—it influenced young composers including Darius Milhaud, Francis Poulenc, Kurt Weill, Sergei Prokofiev, and Dmitri Shostakovich. Stravinsky's instrumental works of the 1920s included the Piano Concerto, the Octet for Winds, the Sonata, and the Serenade for a piano solo. He produced an opera-oratorio (a long work usually without action or scenery), Oedipus Rex, in 1927, and a ballet, Apollo, in 1928. The Fairy's Kiss (1928), a ballet in tribute to Tchaikovsky, made use of themes from Tchaikovsky's songs and piano pieces. The death of Diaghilev in 1929 marked the end of a social focus for much of Stravinsky's work. Though Stravinsky became a French citizen in 1934, he was not able to win in France the recognition and security he needed. The Symphony of Psalms (1930) for a chorus of men and boys and an orchestra without violins became the most widely known of all of Stravinsky's works after The Rite of Spring. At first its seriousness seemed at odds with the worldliness of the ballets. Later it was often recommended as a good starting point for acquaintance with Stravinsky's work as a whole. The theatrical works Persephone (1934) and A Game of Cards (1936) were as unique as the Symphony of Psalms. Stravinsky also wrote instrumental works on a grand scale: the Violin Concerto (1931), Duo concertante for violin and piano (1932), Concerto for two pianos (1935), Concerto for chamber orchestra ("Dumbarton Oaks," 1938 ) , and Symphony in C (1940). From 1942 to 1948 Stravinsky worked intermittently (on and off) on an uncommissioned (through his own initiative) setting of the Ordinary of the Roman Catholic Mass for chorus and winds. He had been spurred to this work by Mozart's Masses but not in any obvious way. 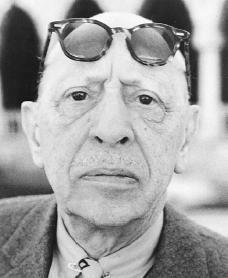 When Stravinsky settled in the United States in 1939, he renewed his interest in popular music. He composed several short pieces, including Ebony Concerto (1946) for Woody Herman's band. His arrangement of the "Star-Spangled Banner" (1944) was too severe to become a favorite. Several projects for film music were begun, though none was completed. A collaboration happier even than that with Diaghilev developed with the New York City Ballet under George Balanchine (1904–1983). The first fruit of this collaboration was Orpheus (1948). In 1948 Stravinsky undertook a full-length opera, The Rake's Progress. This was a fulfillment of his mature ethical and religious concerns. The music included some of Stravinsky's most melodious ideas. The young conductor Robert Craft became Stravinsky's devoted aide while he worked on the opera, and he introduced Stravinsky to the work of Anton Webern. During the 1950s Stravinsky studied Webern and gradually absorbed new elements into his own still evolving, still very individual, style. This is evident in the Cantata on medieval English poems (1952), the Septet (1953), the Song (1954) with dirge canons in memory of Dylan Thomas (1914–1953), the oratorio Canticum Sacrum (1956) in honor of St. Mark, and the ballet Agon (1953–1957). Stravinsky's works of the 1960s continued to demonstrate complex rhythms and sounds, as well as fascinating harmony and counterpoint. These included Threni, i.e., Lamentations of Jeremiah (1958), A Sermon, a Narrative, and a Prayer (1961), The Flood (1962), Abraham and Isaac (1963), Requiem Canticles (1966), the unaccompanied Anthem on stanzas from T. S. Eliot's (1888–1965) Quartets, The Dove Descending Breaks the Air (1962), the setting for voice and three clarinets of W. H. Auden's (1907–1973) Elegy for JFK (1964), and the song for voice and piano on Edward Lear's (1812–1888) poem The Owl and the Pussycat (1968). Stravinsky's last major instrumental works were the Movements for piano and orchestra (1959) and the Variations for orchestra (1964), both of which were interpreted in ballets by Balanchine. Stravinsky died on April 6, 1971, in New York City and was buried in Venice. His approach to musical composition was one of constant renewal. Rhythm was the most striking ingredient, and his novel rhythms were most widely imitated. His instrumentation and his ways of writing for voices were also distinctive and influential. His harmonies and forms were more elusive (difficult to grasp). He recognized melody as the "most essential" element. Joseph, Charles M. Stravinsky Inside Out. New Haven, CT: Yale University Press, 2001. Stravinsky, Igor. Autobiography. London: Calder and Boyars, 1975. Strobel, Heinrich. Stravinsky: Classic Humanist. New York: Merlin Press, 1955. White, Eric W. Stravinsky: The Composer and His Works. Berkeley: University of California Press, 1966. Why was he buried in Venice?? What was his connection to the city? I teach a course on Venice and would like to know this information. I just saw the film Coco and Stravinsky. Was any of it authentic? Stravinsky chose to be buried in Venice, near his longtime friend Diaghilev. Of all the choices he had to be buried near someone important to his life Stravinsky chose the one who chose him: Diaghilev heard Stravinsky's works when the composer was still studying with N. Rimsky-Korsakov. Diaghilev sought out Stravinsky and invited him to collaborate.